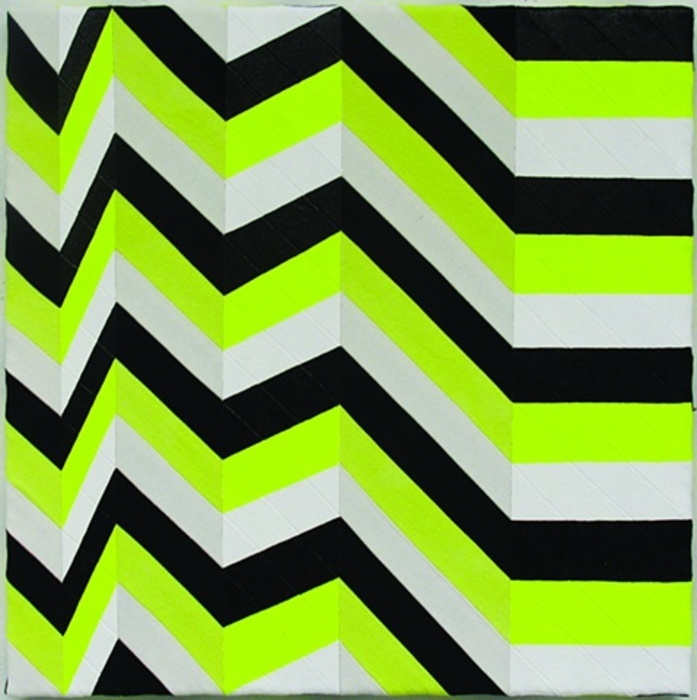 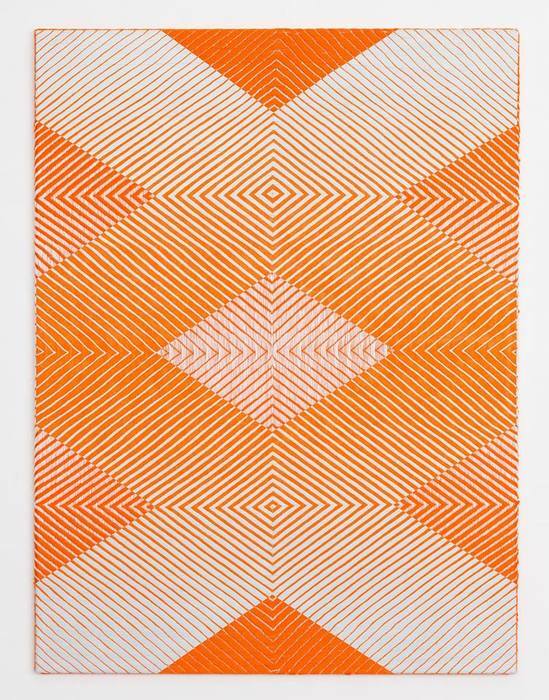 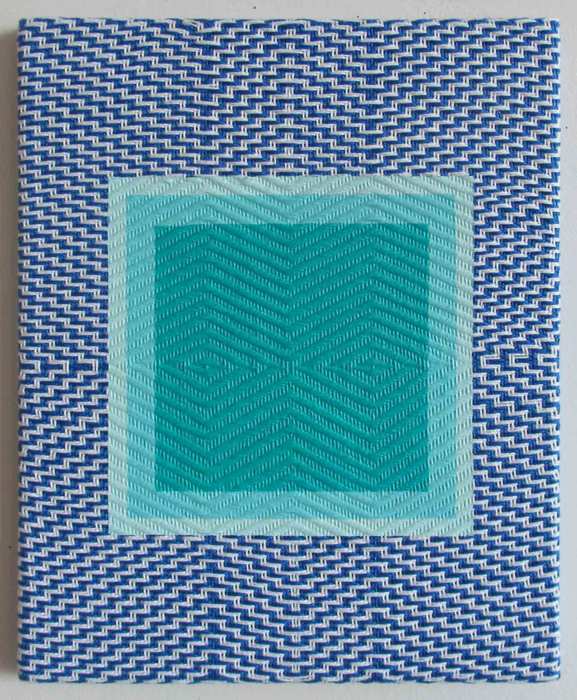 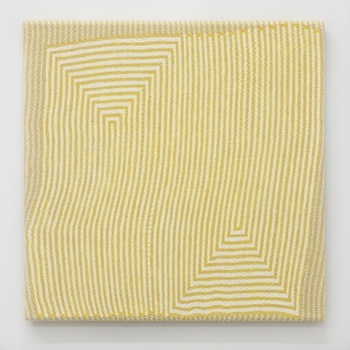 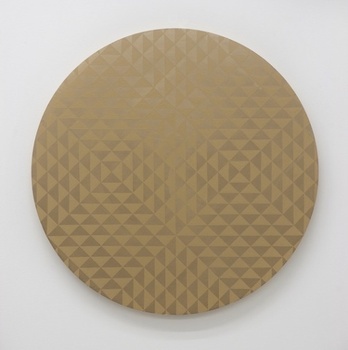 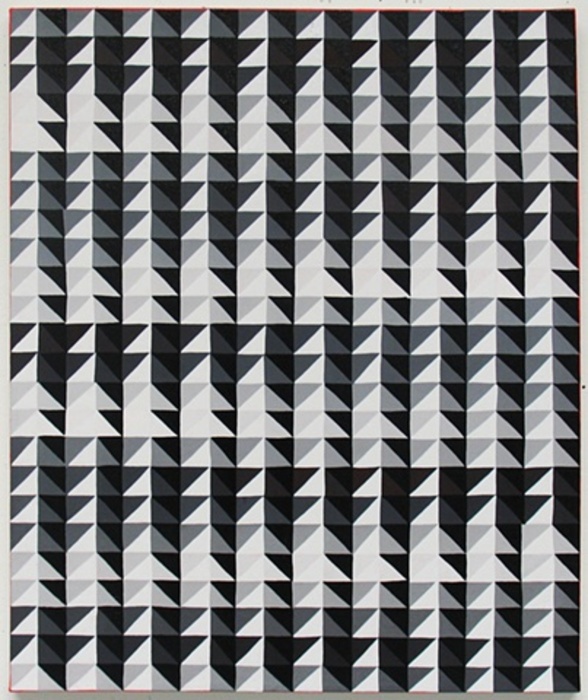 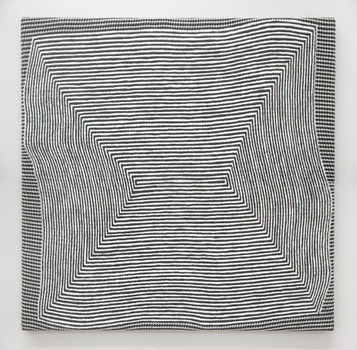 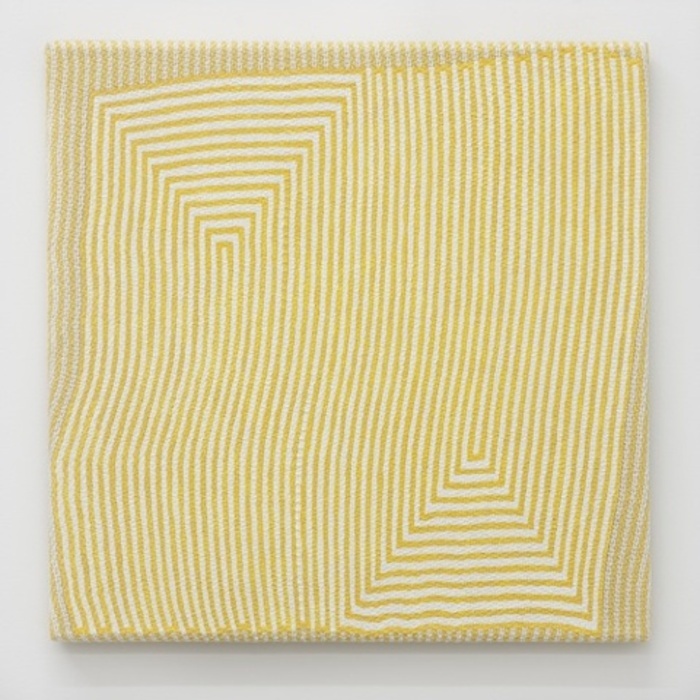 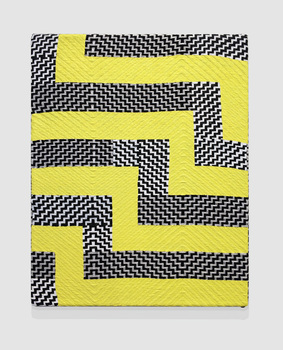 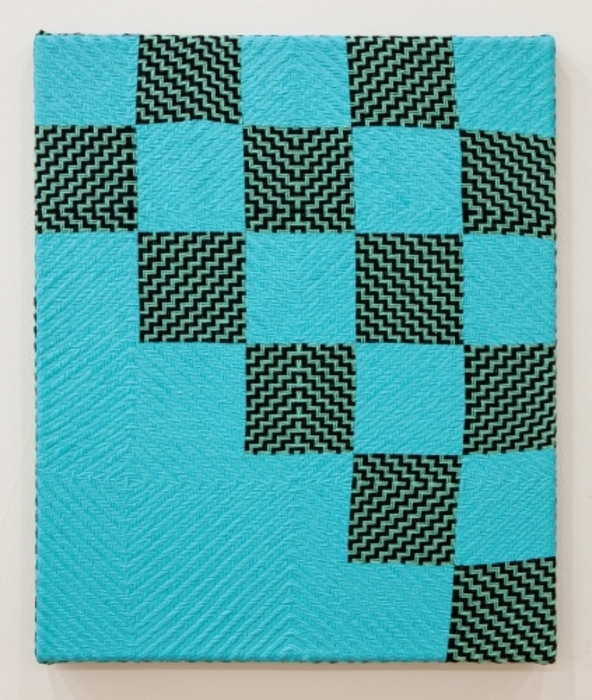 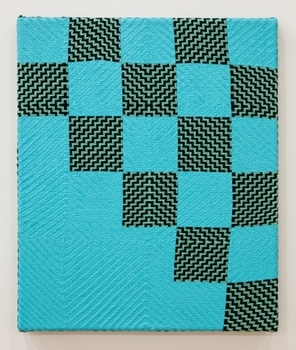 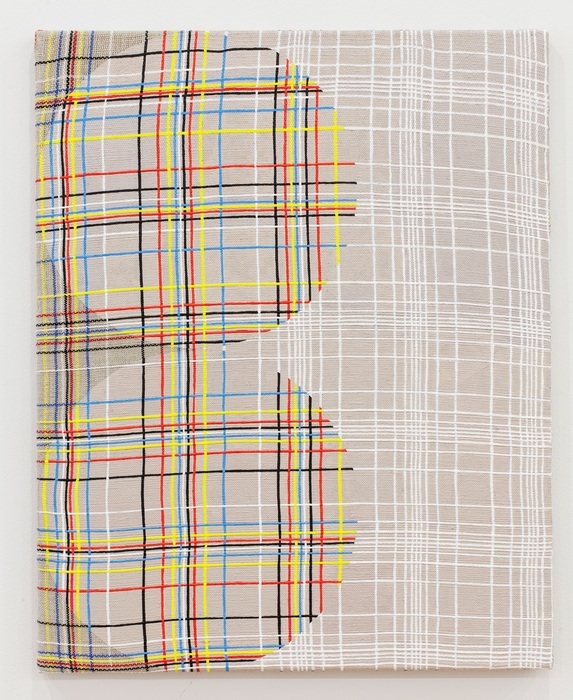 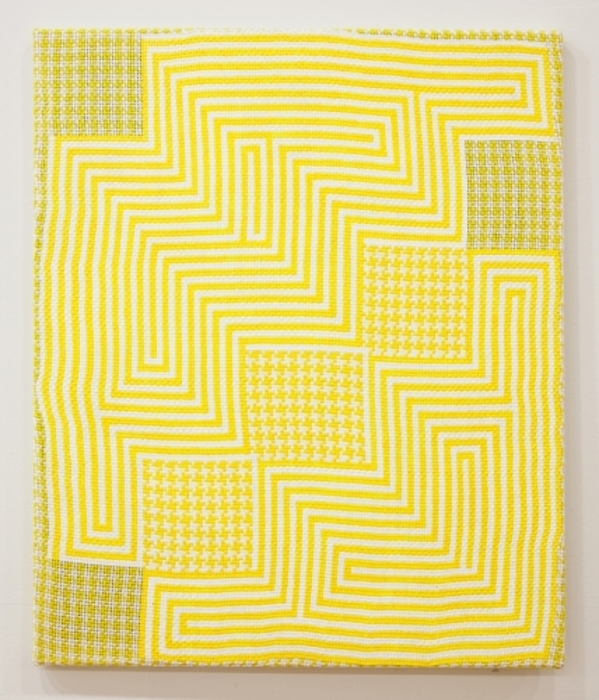 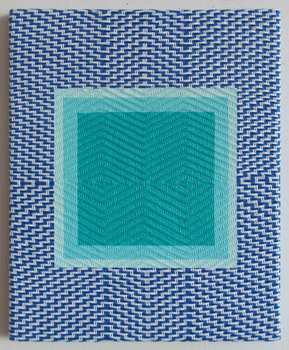 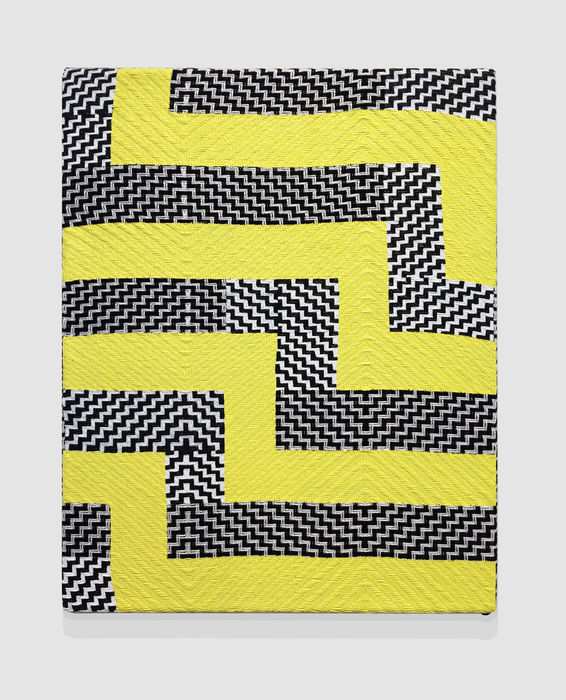 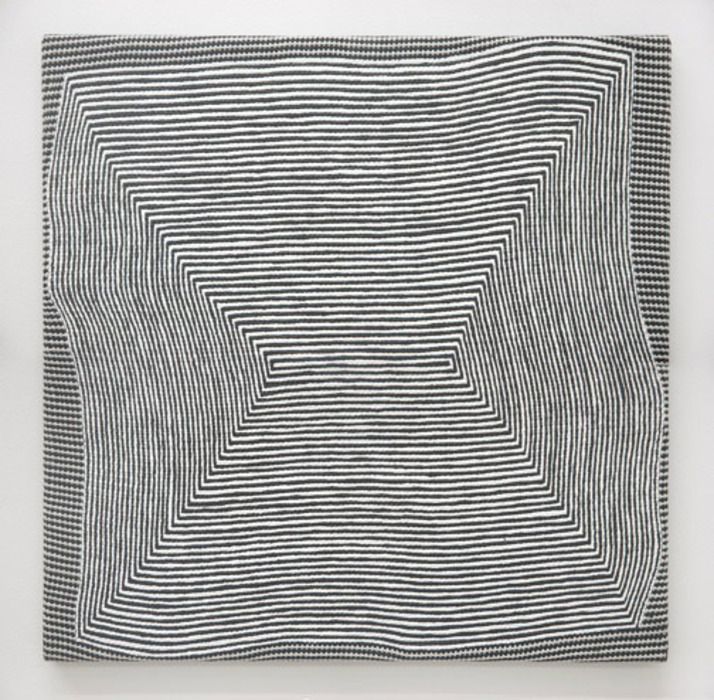 Untitled , 2014 Acrylic On Handwoven Textile 25" X 20"
Untitled (triangle), 2015 Acrylic On Handwoven Textile 20" X 16"
2010 M.F.A., Painting and Drawing, School of the Art Institute of Chicago, Chicago, IL. 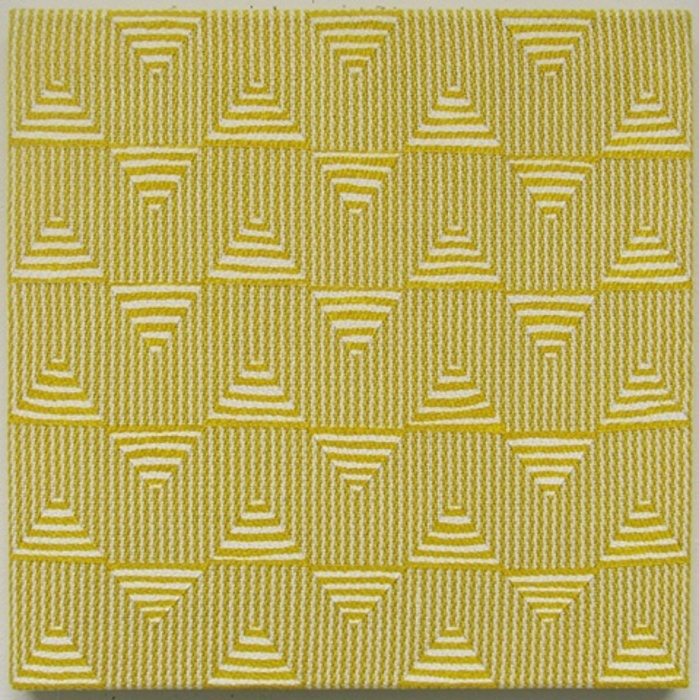 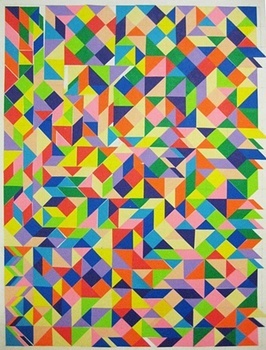 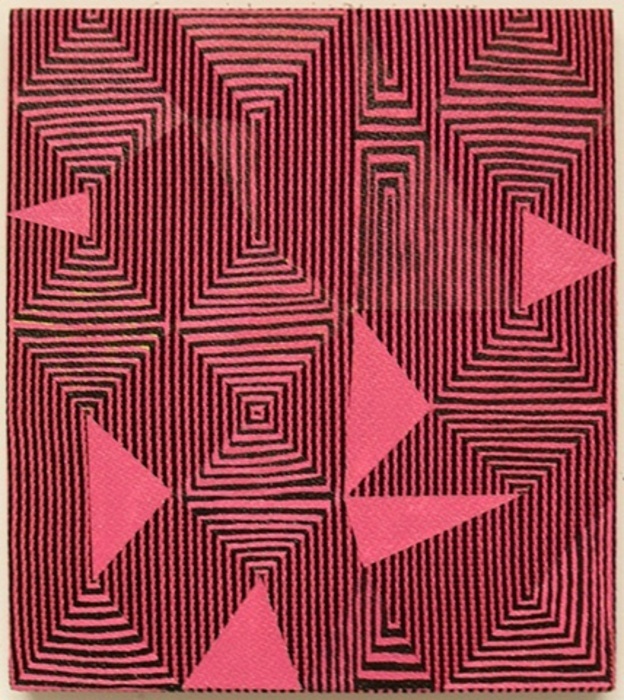 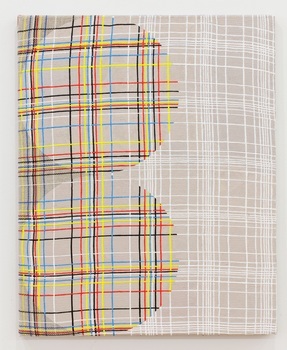 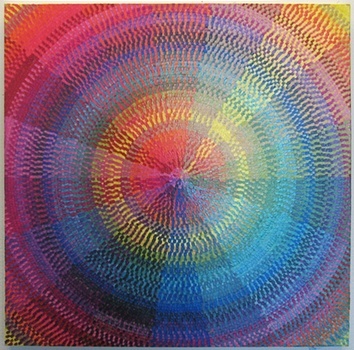 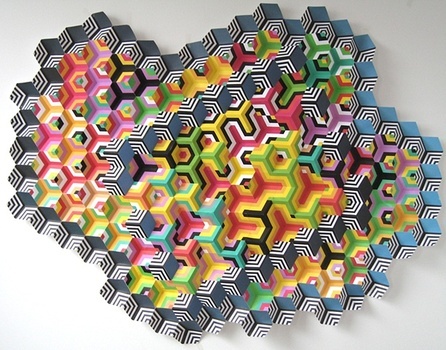 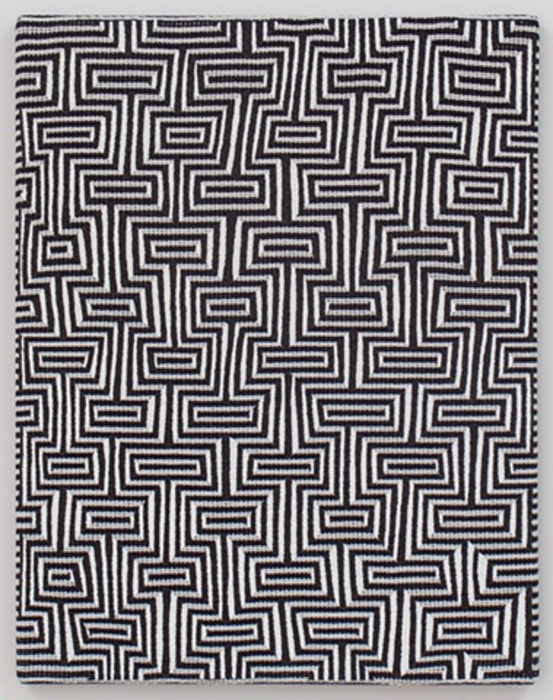 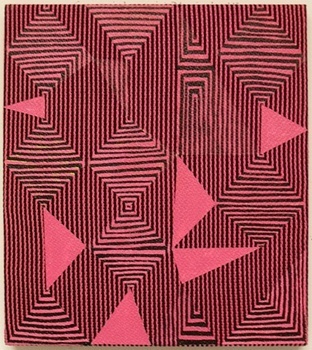 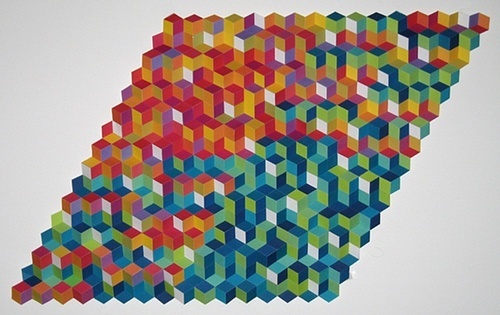 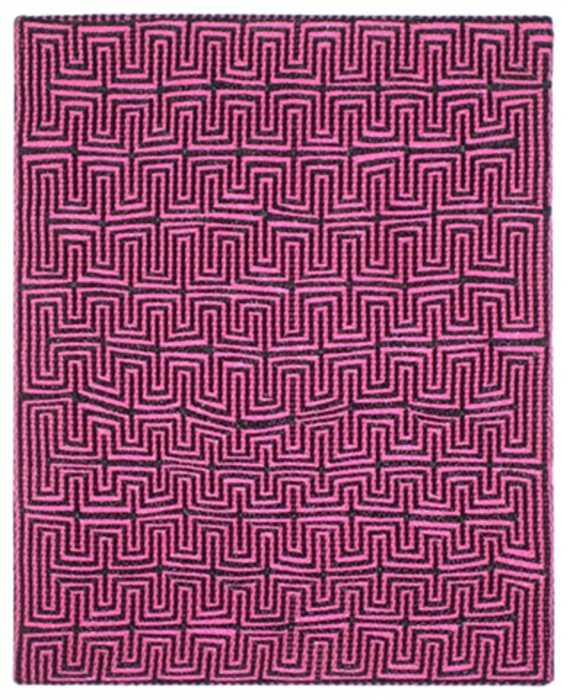 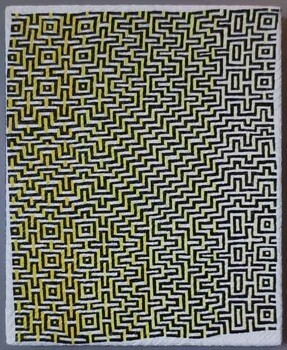 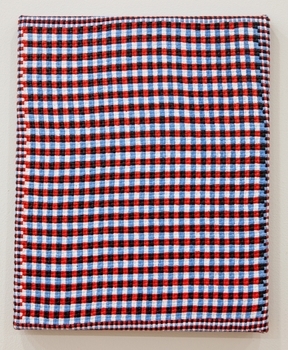 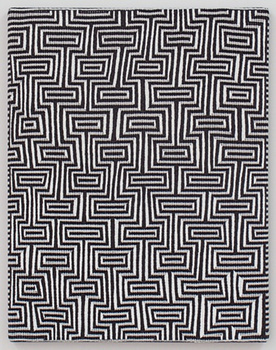 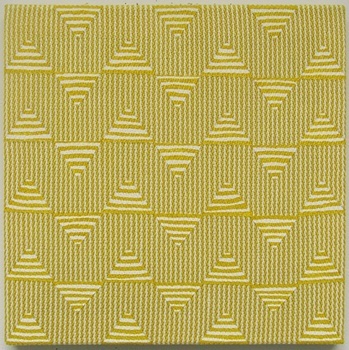 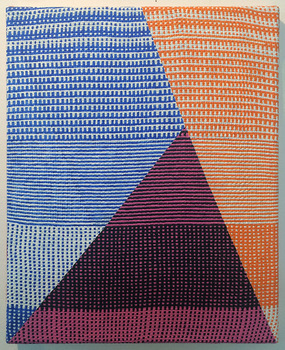 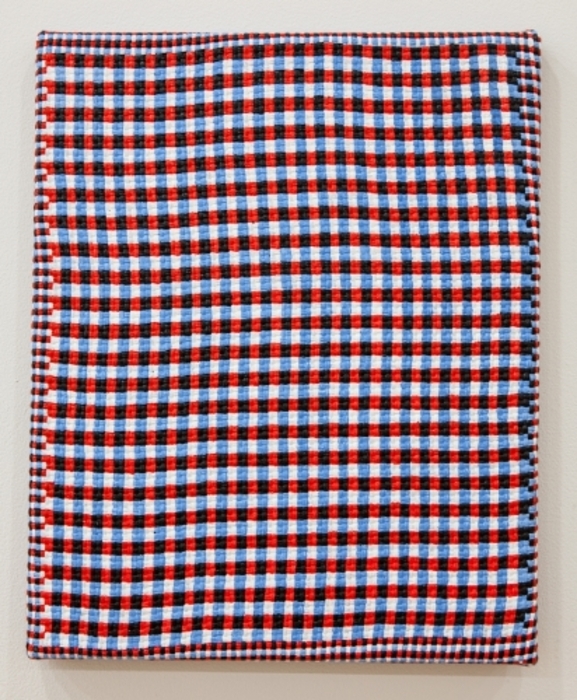 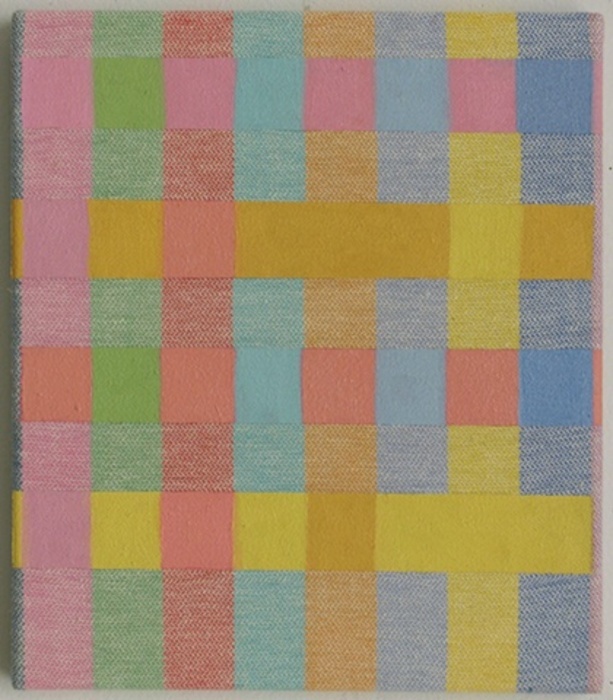 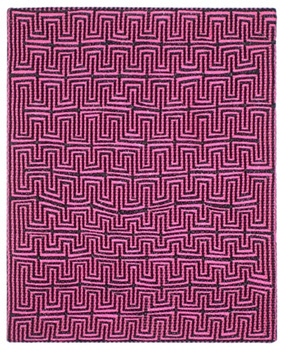 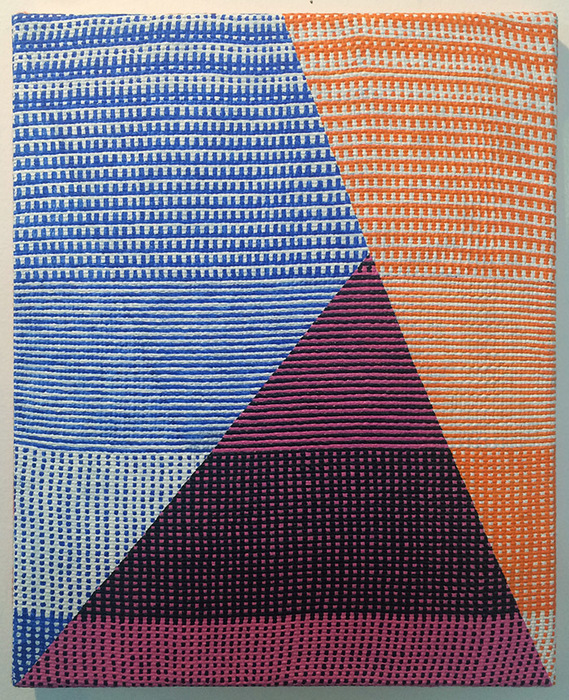 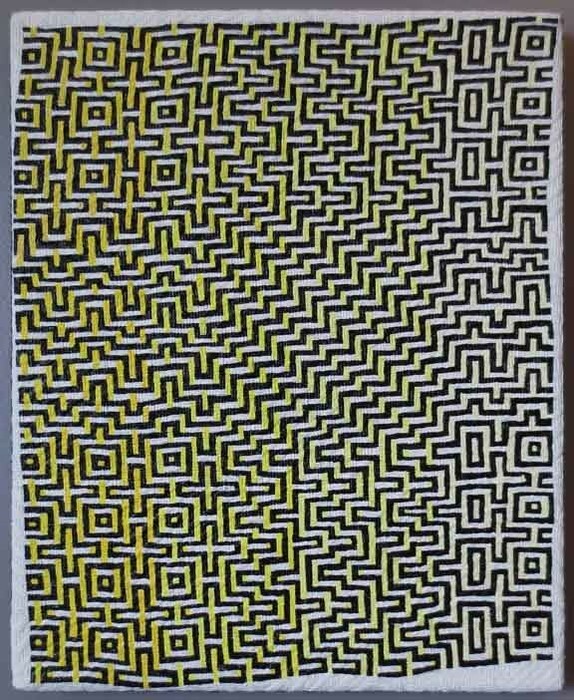 2004 B.F.A., Textiles, Rhode Island School of Design, Providence, RI. 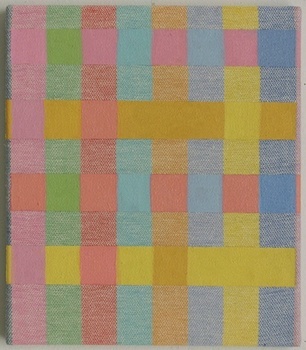 Happiness by the Pool, Hinsdale Public Library, Hinsdale, IL. 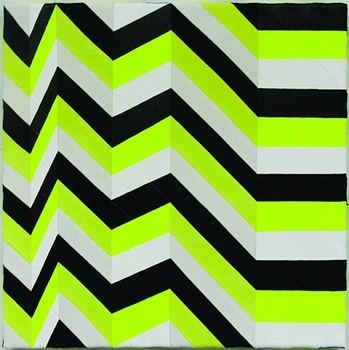 2011 Painted, Green Gallery East, Milwaukee, WI. 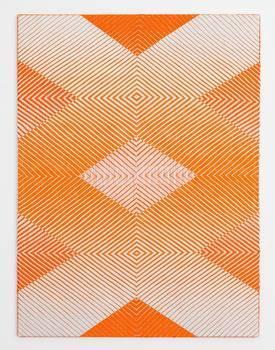 Don’t Get High On Your Own Supply, David Castillo Gallery, Miami, FL. 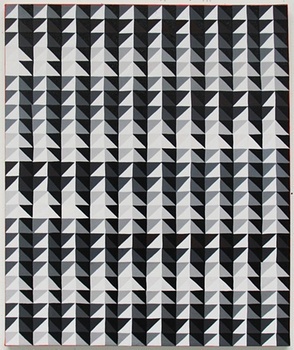 Bauhaus Now, Ukrainian Museum of Modern Art, Chicago, IL. Reformation 2011, Somerset County Jail, Skowhegan, ME.